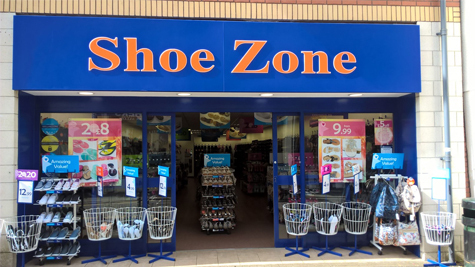 My husband and I were walking past the Shoezone shop yesterday when we noticed a young lady in the doorway who gave us a radiant smile and asked if we would like to come in and browse as trade had been very quite. If only all sales assistants were as charming and friendly as CARLY who was bursting with energy and enthusiasm. I ended up buying a pair of shoes and I am sure it was all because of Carly's attitude and friendliness. You need to hang on to this lady as she is of a rare breed nowadays. Well done Carly, and 'Thank you' for your smile. Very quick and easy to find what i wanted and the staff were very helpful by fetching a pair of shoes in my size.